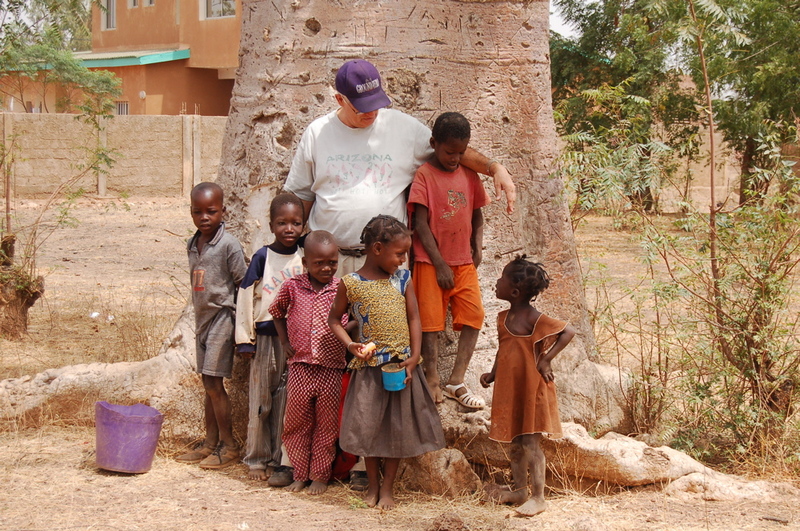 A former classmate of Klaus, which travels frequently on church-related business from Wiesbaden to Burkina Faso provided an opportunity for us to travel to this part of West Africa by accompanying him on his trip this year. Klaus and I met Rainer and his wife Maria - which came along the first time too - in Paris at the airport and we continued our travels together. Arriving in Ouagadougou in the evening hours (Newark NJ - Paris - Ouaga), it was too late to travel on and so we slept the night in Ouaga and and drove the ca. 350 km to Diebougou the next day. 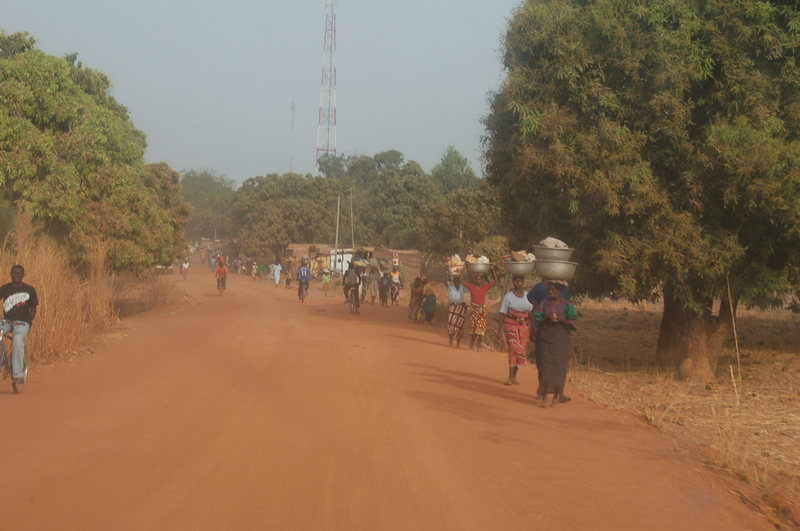 One week was spent in and around Diebougou, the last few days in Bobo-Dioulasso and then we returned the 320 km from Bobo back to Ouaga on March 3. and flew back home via Paris and Amsterdam, arriving in Newark on the 4. in the afternoon. 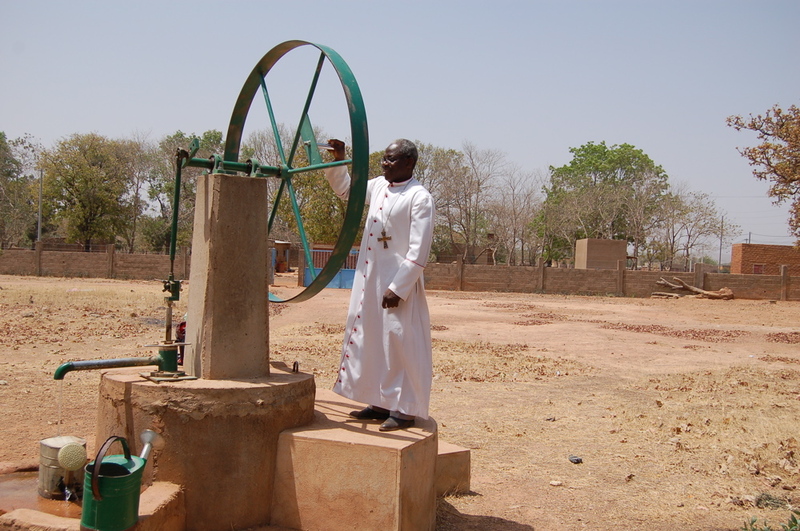 We stayed at the modest accomodations of the Diocese of Diebougou provided by the most hospitable and gracious Bishop, the Monseigneur Raphael Dabire and then later at the dormitory of the Catholic University in Bobo as guests of the Abbe Pierre. The very friendly priests took turns picking us up for breakfast and later on in the day for Dinner and and they were driving us everywhere on business and also did with us some serious sight-seeing in the process. 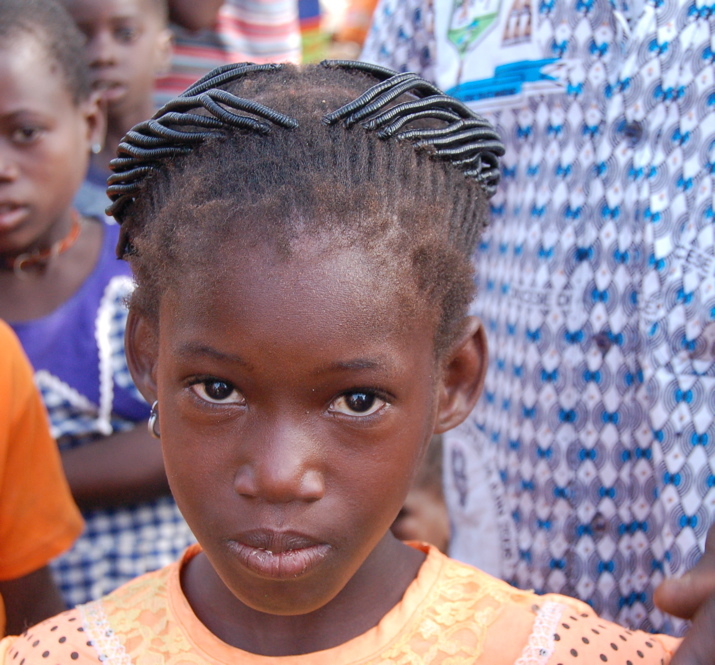 The people of Burkina faso are most friendly and smile and shake hands with everybody and inquire about each other's families all the time. The 10 (not linked) Contact Sheets on top of the list should hopefully guide you with some ease through the many pictures. This was surely not a vacation, but a very interesting trip showing us this part of West Africa - without the rosy colored tourist glasses. 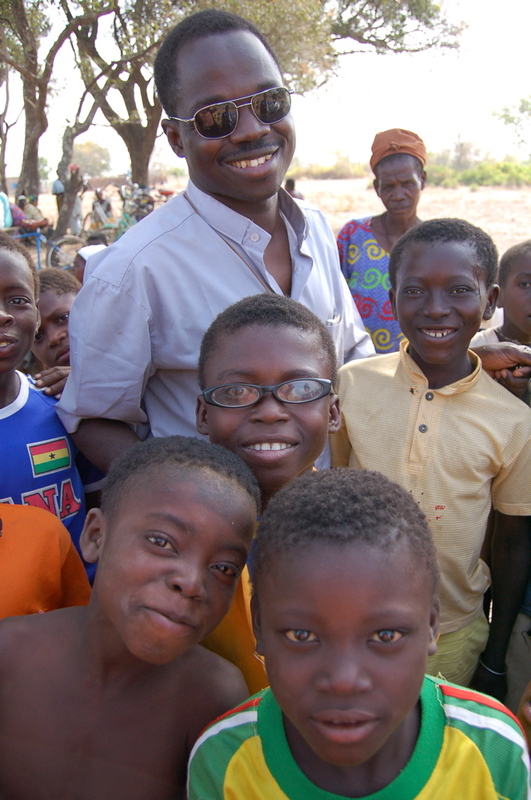 Burkina Faso is a very poor country, there is no luxury of any sorts as far as we could tell. Basic needs like clean drinking water, hygiene, food and healthcare are on top of the list of priorities. As one was able to observe first hand, it is the Catholic Church, not the government, which dispenses assistance. It is done mainly with the help of donations which are being put to good use here. A school cantine provides lunch for the students here - see pics 330 to 377. The Bishop graciously and proudly took us around and showed us the hospital, which also houses the eye-clinic, a dental station and a hospital room with beds. Family members cook for the patients. There is also a well run orphanage. 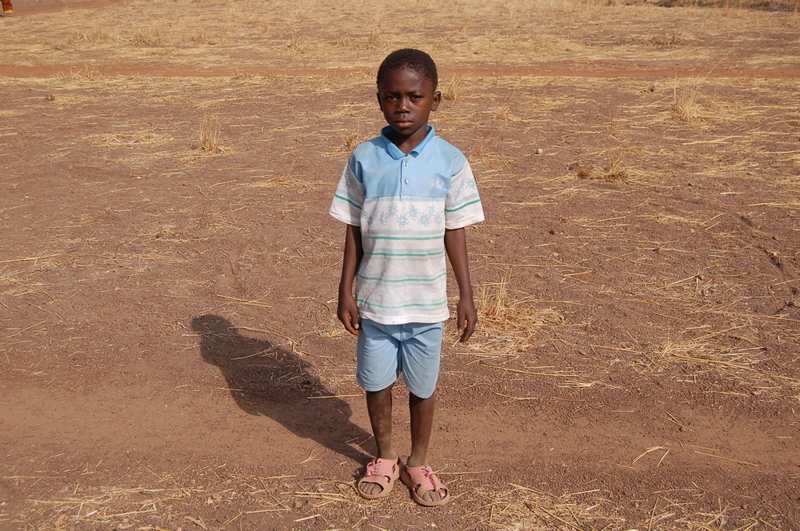 and a little boy which ran after the car as we were leaving and didn't rest until I took his photo. This little girl had the prettiest braiding - it was quite elaborate . If I close my eyes and try to conjure up my most prominent imprinted memories, I visualize the women in their long very colorful cotton dresses walking to and fro the markets carrying HUGE loads on their heads and babies on their back. We learned that these aluminum bowls and other goods can weigh ca 35 pounds or more and as the women walk for many miles along the very dusty streets, noon temps were climbing to around 110 degrs F.
At the Msgr's Dinner table we were introduced to quite a few interesting people. 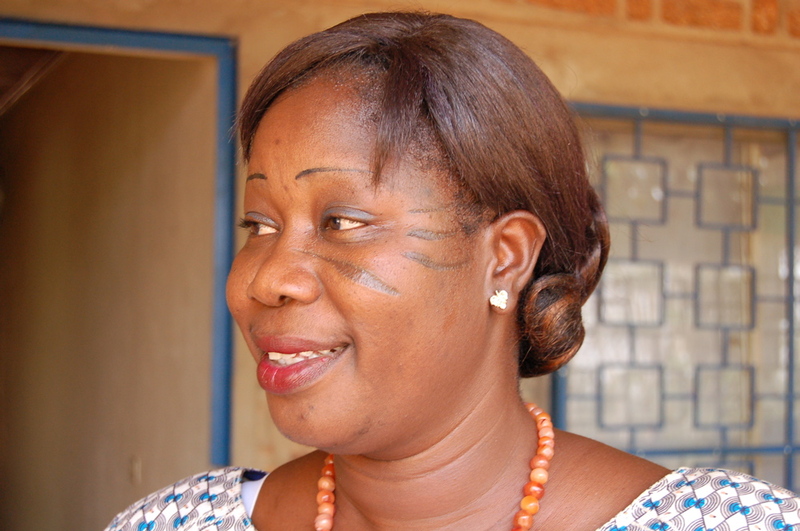 Juliette Kongo is a true Princess, she is a daughter of the Mossi King and the interesting markings on her pretty face identify her as such. Juliette was very gracious as she let me photograph her face and explained that she received these markings at the age of five and it had hurt badly at the time. She indicated tears streaming down her face. See pics 312 -316. We were able to tour the famous Mosque in Bobo-Dioulasso - pics 671 - 710. As I mentioned I took many pictures to better hold on to the memories and sharing them with everybody interested. Listing each picture on this page by itself would be simply too much of an undertaking. I hope everybody looking at these pictures in their entirety may gain some understanding of the character of the places we visited and observed in Burkina Faso. If you would like to see a picture in its original high resolution format, perhaps for the purpose of printing it out, please contact me.